moving supplies and in-store pick-up for boxes. The U-Haul Company of California is pleased to announce that Oakdale Food & Liquor has signed on as a U-Haul neighborhood dealer to serve the Oakdale community. 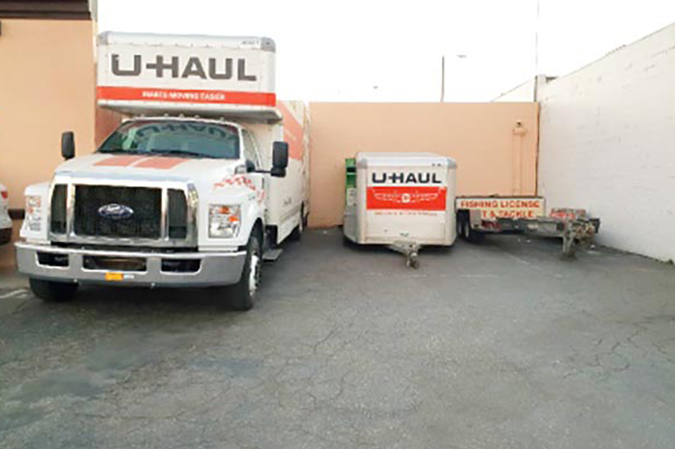 Oakdale Food & Liquor at 238 N. Yosemite Ave. will offer U-Haul trucks, trailers, towing equipment, moving supplies and in-store pick-up for boxes. Oakdale Food & Liquor partners Surjit Singh and Harjinder Bassi are proud to team with the industry leader in do-it-yourself moving and self-storage to better meet the demands of Stanislaus County. U-Haul and Oakdale Food & Liquor are striving to benefit the environment through sustainability initiatives. Truck sharing is a core U-Haul sustainability business practice that allows individuals to access a fleet of trucks that is larger than what they could access on an individual basis. The arrival of U-Haul Truck Share 24/7 is revolutionizing the moving industry through its more convenient, more secure way to pick up and return a truck. U-Haul live verification technology allows rental transactions to be carried out entirely on a smartphone at any hour — day or night. There are no membership fees. Simply visit uhaul.com to create an online account. Normal business hours are 7 a.m. to 10 p.m. every day. Reserve U-Haul products at this dealer location by calling (209) 848-8476 or visiting https://www.uhaul.com/Locations/Truck-Rentals-near-Oakdale-CA-95361/005529/.